Telangana politics is warming up when elections are about a year away. Leaders are not looking at their own party. Recently, Revathy Reddy joined the Congress party and Uma Madhavareddi karikkaru. Some of the leaders are key to this. Nagam Janardhan Reddy who joined the BJP since TDP had long been in the party. In Telangana, there are no indications of the party's strength in the party and he is planning to announce his future function. He said activists wanted the party to change. The decision was taken after the party was about to change. KCR was convinced that Nagarjuna did not fulfill the election promises. The biggest corrupt family in the world has criticized the CM's family. In the 2019 elections, the last election of Nagam is going to come to the Congress party in the upcoming Assembly elections. He has condemned them so far and his latest comments are of interest. On the other hand, nadu and good words are going to be strong. In the Telugu states, the party seems to be changing with the idea that the BJP does not seem to be a scene. 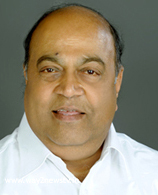 Nagam Janardhan Reddy, who was faced with criticism by Reddy, has served as minister for five times. He played a vital role in the Telangana movement. TDP was not satisfied with joining the BJP. He had not been able to do so rightly. That is why he is making a comeback. Communal Party has fully utilized the use of Naga services. Telangana CM KCR does not properly use the hard-spoken leader. The party leaders are acting as they do not need to speak against KCR. That is why Nagam Party is changing. The original Nagam media came forward and spoken. There is criticism of the BJP leaders doing the criticism of the day KCR and the night with the same KCR coordination. Revant Reddy had previously said the same thing. Now the naga is saying the same. Telangana CM KCR is making cosmic efforts to hit the Congress. On the other hand, his enemies are excited to join Congress. As a result, elections will be interesting in Telangana. Many leaders come to the Congress after the party. Congress President Rahul Gandhi has been launching a fake operation. That's why the leaders of the hand are looking at the hand. If this happens, the Telangana BJP will be the worst. In the Full Josh with the addition of Revenue Reddy, the Congress is in talks with BJP leader Nagam Janardhan Reddy. The Congress has been willing to give Nagar Kurnool the previous one to contest. That's why the nagging information.